The winners of Sitra's Ratkaisu 100 Challenge prize have been chosen. The one million-euro prize will be split between two competing solutions. Half the amount, 500,000 euros of development money, will go to Headai, which harnesses capabilities for identifying expertise using artificial intelligence, and the other half will be awarded to Positive CV (Positiivinen CV), which identifies hidden strengths in young people. 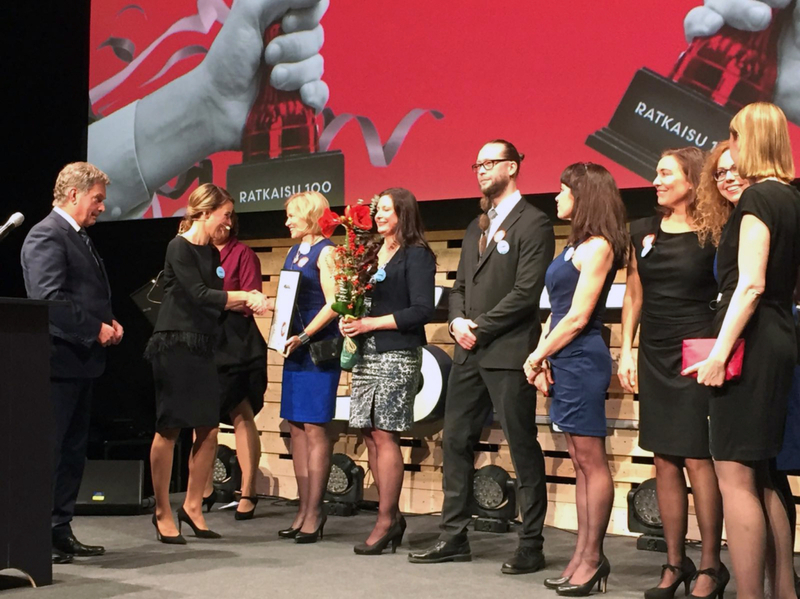 The winners of the Ratkaisu 100 Challenge prize were announced at the Sitra 50th-anniversary celebration, which was held at Finnish Science Centre Heureka in Vantaa on 16 November. The prize was presented by the President of the Republic of Finland, Sauli Niinistö. The competition challenge was to develop solutions that allow for the more effective identification and utilisation of expertise in an increasingly international world. The winners were chosen by an independent, seven-person jury. The jury assessed the effectiveness, innovativeness and feasibility of each solution. The prize was presented by the President of the Republic of Finland, Sauli Niinistö, at Sitra’s 50th anniversary celebration. One of the winning recipients of 500,000 euros in development money is Headai, which has already made its mark on the international stage. At Headai, artificial intelligence charts human expertise using open data on the internet. Headai can be used, for example, to give companies an idea of what expertise they currently have enough of and what expertise they do not. This makes it easier to assess how employees should be retrained or what kind of training should be offered to citizens. The Headai team believes that charting the overall expertise and skills of a nation makes it possible to attract foreign companies to the country. “Headai uses artificial intelligence and open data in an innovative way. The solution takes bold aim at the future and distinguishes itself from the other ideas presented in the competition because of its originality,” says Ratkaisu 100 jury member, Timur Kärki, CEO of Gofore Oyj. The solution also offers the ability to promote the solution ideas of other competition entrants, thus realising the theme of Finland100 – “together”. The other winning solution is the broad-based curriculum vitae of skills, Positive CV (Positiivinen CV or PCV), which can be used to help children and young people learn how to recognise their various abilities. Evidence of skills used in different environments, such as at school, at home, while enjoying hobbies and among friends, can be saved on the PCV. The PCV is shaped according to the child’s own needs and grows along with them, starting from their day-care years. The model is an entity comprised of learning materials and teacher training that will be complemented by, in the near future, a digital platform. The jury appreciated the combining of the growth mindset with the Positive CV concept, as well as the fact that the solution also takes mindfulness skills into consideration. The ingenious simplicity of the concept was also praised by the jury. “Both solutions are a quantum leap in terms of the ways we currently identify expertise,” according to Laura Hirvi, chair of the Ratkaisu 100 jury. Even the most complex of problems can often be solved by simple solutions, which are achieved, above all, through co-operation. In a challenge competition like Ratkaisu 100, anyone can strive to create new innovations and make a real impact. The 15 solutions in the competition offered a wide variety of interesting new ideas. The competition can be likened to the Idols talent show, whose winner is given a recording contract. “Even here, we’re the ones handing out the recording contract to the winner, but why shouldn’t the other entrants be able to get a deal somewhere else? We believe that the competition gave the other finalists the necessary boost to make their solutions a reality,” says Kalle Nieminen, a specialist at Sitra. In addition to Finland’s centenary, Sitra is also celebrating its 50th anniversary this year. In honour of this anniversary year, we wanted to hold a competition, the goal of which would be to look for solutions to one of the biggest challenges facing Finland. What could possibly be a better gift for the 100-year-old Finland than solutions to its most pressing problems? 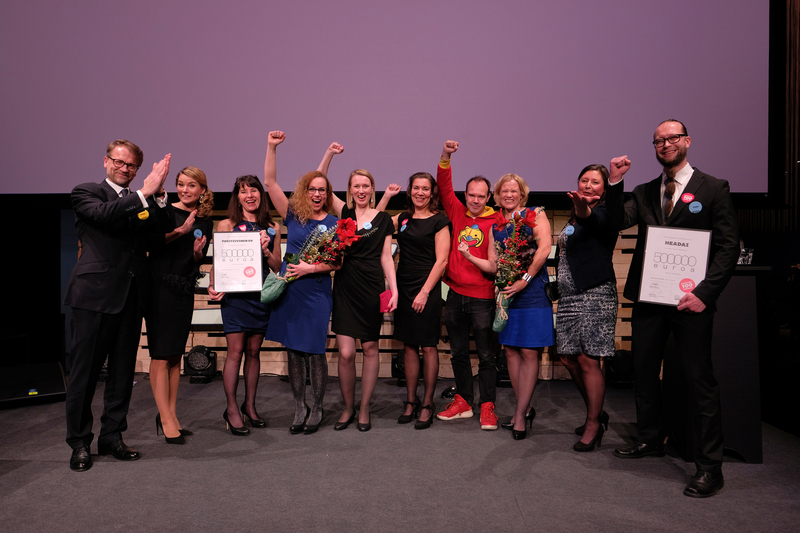 “Competitions can be used to encourage leading minds to tackle the biggest issues of our time and promote the creation of social innovations,” says Sitra’s President, Mikko Kosonen. Ratkaisu 100 is part of the programme celebrating the 100th anniversary of Finland’s independence and the 50th anniversary of the Finnish Innovation Fund Sitra in 2017.